"Coming together is a beginning, remaining together is progress and working together is success"
International Institute of Management & Human Resource Development is a B-School with a difference management training institution that believes in working 24x7x365 to procreate dynamic student managers. We at International Institute of Management & Human Resource Development firmly believe in making a student fathom the granularities of the corporate world. We are located at stones throw distance from the Rajiv Gandhi InfoTech park, Pune. Our institute provides a perfect ambience for management education amidst industrial needs of creativity and innovations .We are blessed with timely guidance from a wide spectrum of industry associations. 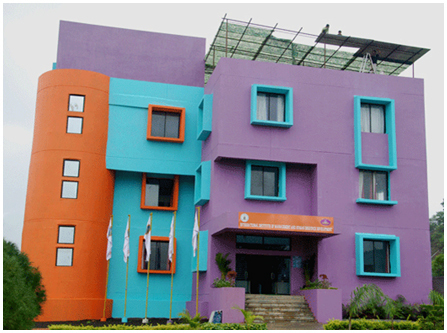 IIMHRD is a part of Sai Balaji education society. Sai Balaji education society is a trust formed by the people coming from industry and academics with a vision and commitment to deliver the best possible global management education. It is a unique and value based institution founded by a young and dynamic leader Prof. Manish R. Mundada in the year 2005. Apart from meeting the industrial needs and standards, the institution aims to develop potential tomorrows executives today. "True character has the delicate fragrance of a just blossomed flower, it emanates from within the person by the propulsion of his own self chosen ideals of life". Keeping this ideal in view, we in IIMHRD, apart from completing the syllabus in time, firmly believe in building a culturally oriented character. This is done by giving personal and timely inputs regularly. To impart holistic and industry oriented management training to students thereby ensuring their evolution into industry professionals at the end of their selected management programme.